John Wheatley also reported that a large horse with rider came close to sliding on the ice and taking out Doug’s entire rescue party! 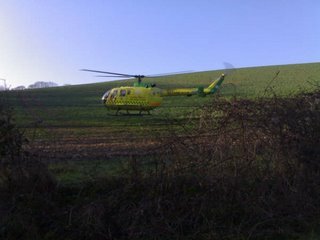 More excitement followed when the helicopter arrived, causing an out break of deadly plane spotter disease. 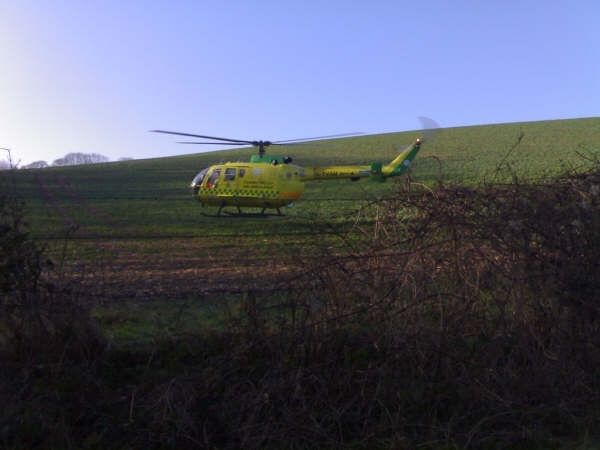 The helicopter crew came under close questioning as to where the helicopter was based with many riders/spotters speculating it must have been from High Wycombe (it was actually Benson). The accidents overshadowed what was a very well organised event by Paul. He even ensured that the helicopter turned out in Willesden colours!